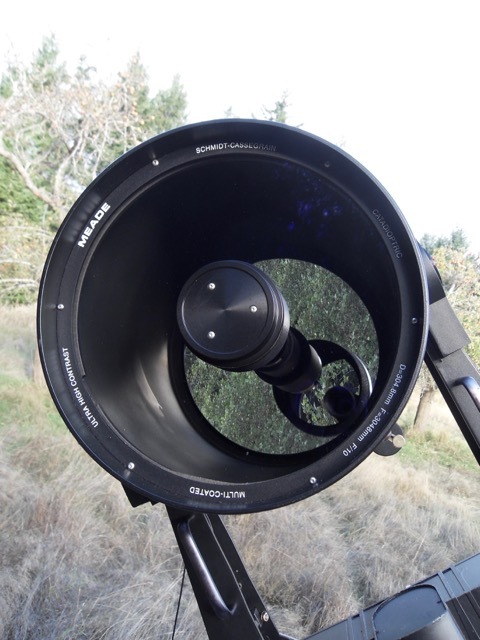 Advertising appearing below is posted by RASC Victoria Centre as a public service, and does not imply any endorsement of any purchaser or seller by listing them below. It is important for both the purchaser and seller involved in any transaction to perform appropriate research and to take all precautions to protect themselves against fraud and other potential problems of doing business with unknown persons. Contact the Webmaster if you wish to place an ad on this page. 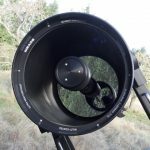 Heated (soft) dew shield and heated-eyepiece and objective warmers and control for them, and all connectors. 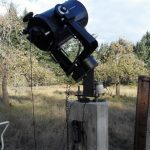 I would be happy to throw in my 3 volumes of Burnham’s celestial handook and my customized list of deep sky objects, arranged by declination from north to south for each hour of R.A. 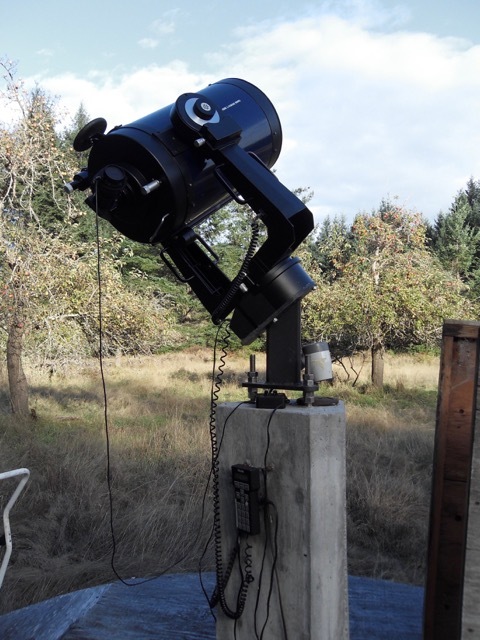 If someone is seriously interested and wants to come try out the telescope as I have it set up (weather permitting), I would be happy to put them up over night. Also to instruct how to use the equipment if they aren’t familiar. This instrument formerly belonged to Jack Newton.